At Nikolai, our craft is to build beautiful architectural interiors to the highest standards with lasting quality. Through creative management, we have developed a system for providing even the most complex installation on time and as specified for our clients. Nikolai’s dedication to the art and craft of architectural woodworking is clear and you can see it in the work. We maintain a resourceful, dedicated and committed team. Each member of our firm ensures that every project receives thorough and precise attention to detail throughout every phase of the project. Please view our projects listing and contact us for more information or to discuss your next project. 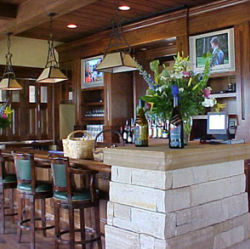 Aetna Golf Club Pope Valley, CA VG Fir & Cherry door frames, trims and casework. University of Oregon, Sports Treatment Facility Eugene, OR Unique paneling and casework. 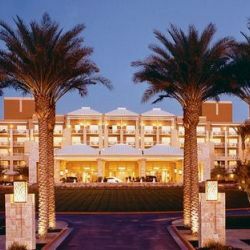 Marriott Desert Ridge Hotel Scottsdale, AZ Figured Maple paneling and trims. 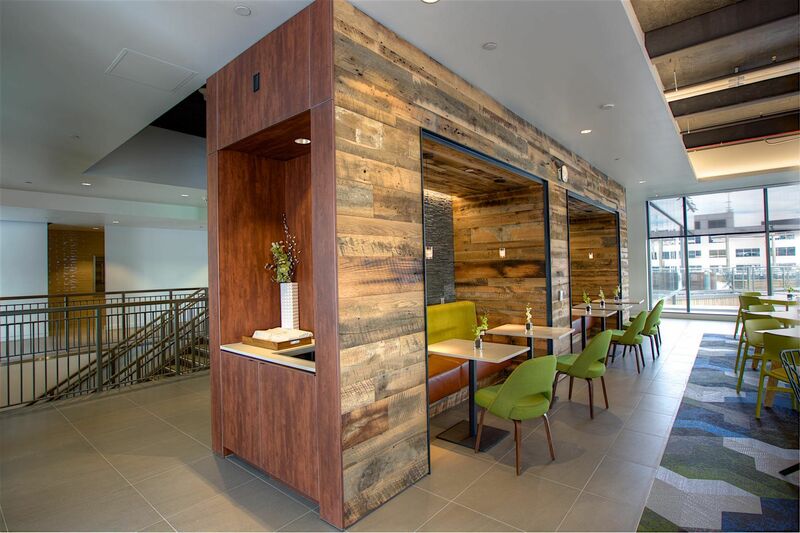 W Hotel Scottsdale Scottsdale, AZ Extensive Red gum and Tabu Walnut paneling, bars and specialty woodwork items. Kukui'ula Villas Maui, HI Resort Villas. Fraser Milner Casgrain Calgary, AB Corporate office interior wall partition shelving units. 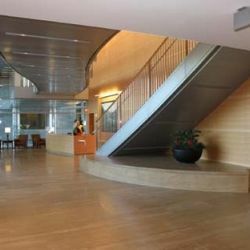 Gold Corp Inc. Vancouver, BC Office interiors consisting of Elm and African Mahogany paneling, doors, frames, casework and trims as well as Plastic laminate casework. Clark Wilson Offices Vancouver, BC Corporate Office Interior including Oak doors, frames casework and trims. Silver Wheaton Corporate Office Vancouver, BC Cherry Doors, Frames, Paneling and casework. Stantec Consulting Group Surry, BC Corporate office interior including doors, frames, peneling reception area and casework. Nike World Campus, North Expansion Beaverton, OR 800,000 square feet of floor area, 4 buildings. Everett Court House Everett, WA Municiple court house with White oak court rooms. Kapolei Judiciary Complex Kapolei, Oahu, HI 13 courtroom courthouse with adjacent Juvenile Detention Facility. Extensive cherry paneling, door frames, entires, furnishings, bar rails, casework, trims and handrails. Plastic laminate casework. Federal Reserve Bank Seattle, WA Corporate offices including Valchromat paneling and casework. Seattle Fire Station #10 Seattle, WA Casework and paneling. Pasadena City Hall Pasadena, CA Council Camber fixtures and furnishings. Award Winning Private Residence in BC, Nick Milkovich Architect West Vancouver, BC Extensive Rift White Oak doors, frames, paneling and casework throughout. Continuous Hemlock ceilings. Award Winning Private Residence in Oregon, Zimmer Gunsel Frasca Architects Lake Oswego, Oregon Walnut, Corian and painted, doors, frames, paneling, casework and stairs. 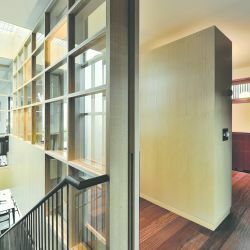 West Third Ave Residence, Bricault Design Extensive woodwork throughout all 3 levels crafted from 1/4 figured Ash, Mahogany and Redwood Burl. Private Residence in BC, Robert AM Stern Architects BC Design by Robert A.M. Stern. Supply and installation of doors, frames, trim, paneling and casework. The Casey Condominium Portland, OR Suite casework, Public area casework & paneling and Concierge desk. California Private Residence Rolling Hills, CA 10,000 square foot private residence with extensive Khaya paneling and built in casework throughout. Colorado Private Residence Castle Pines, CO 38,000 square foot residence. The Louisa, Brewery Block 5 Condiminiums Portland, OR Furnished the casework for 254 condiminium suites. Kwantlen Polytechnic University, Stantec Architecture Ltd Surry, BC Renovation of 2 level complex with extensive FSC Maple and Red Grandis woodwork. University of California Los Angeles, CA Paneling and Architectural Woodwork. Seattle Law Library Seattle, WA Anigre wall paneling and desk fixtures. Arizona State University Tempe, AZ Bamboo wall paneling. University of Washington, Biochemistry Seattle, WA Plain sliced frames, casework and wall paneling. University of Washington, Genome Seattle, WA Plain sliced Maple frames, paneling and casework. University of Washington, Bio Engineering Seattle, WA Elevator lobby paneling display cases and aluminum surfaces. Pierce College Puyallup, WA 1/4 cut Maple Wall paneling, benches and guard rails. University of California, Davis Davis, CA Genome & Biomedical Sciences Facility. 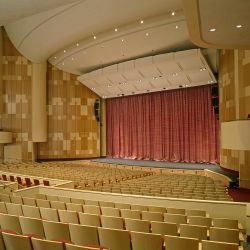 Lakeridge High School Lake Oswego, OR Auditorium paneling and trim. 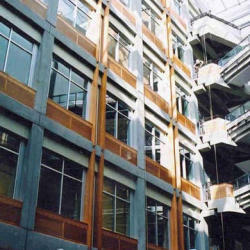 University of Washington, Computer Sci. Building Seattle, WA Paul Allen Computer Sciences Building. University of Washington, Tacoma Campus Seattle, WA Cherry Parkes and Mattress Factory Buildings LEEDS Project. UBC Vancouver, BC University of British Columbia Chemistry / Physics Building. UNBC Prince George, BC The University of Northern British Columbia. 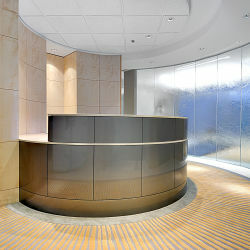 John's Hopkins Hospital Baltomire, MD Elliptical conical shaped reception desks, Nurses stations and desks. 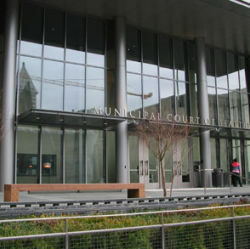 Provindence Medical Center - North Pavillion Portland, OR Beech Architectural woodwork including frames, paneling, reception desks & casework. Rancho Springs Center Murrieta, CA Administrations desks and patient headwalls. Bronson Methodist Hospital Kalamazoo, MI Many patterns of inlaid wood veneers and laminates emulating a variety of playful themes. Memoiral Medical Center Modesto, CA Madrone nurses stations, reception desk, espresso counter and patient room wall units, PL casework.